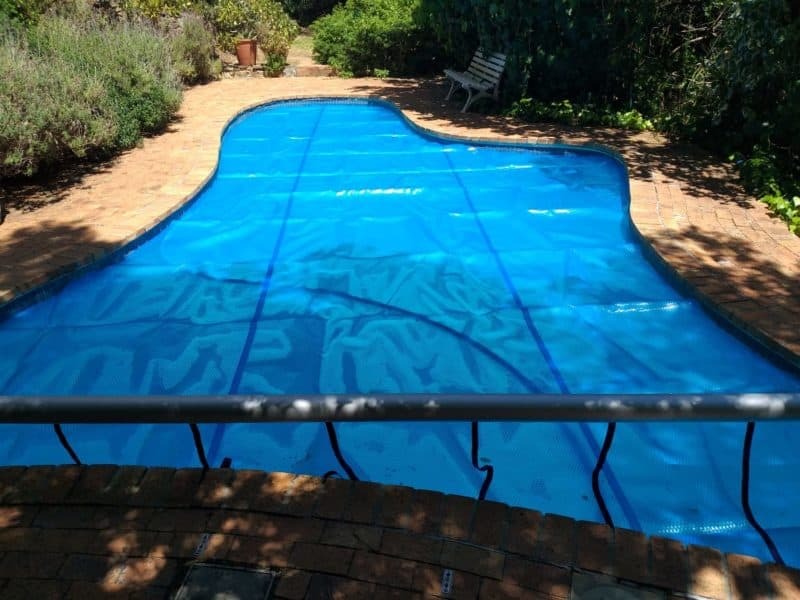 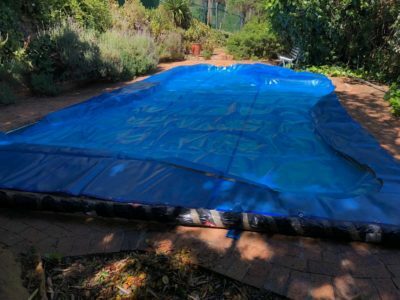 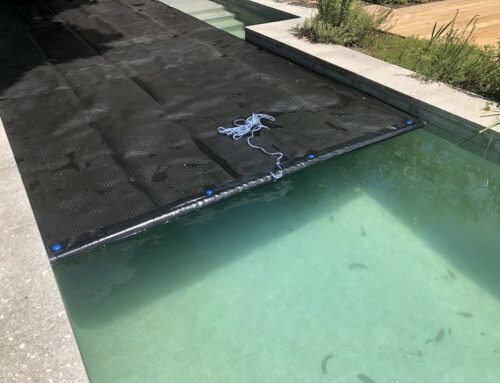 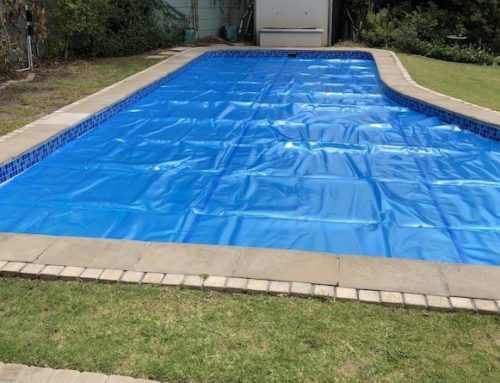 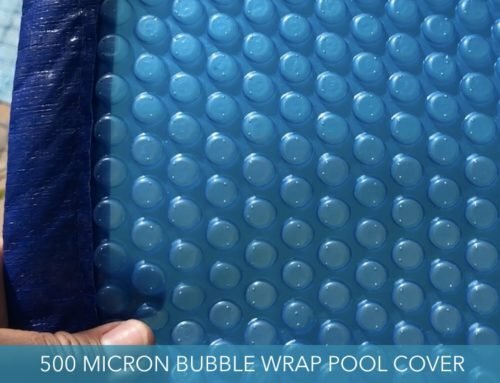 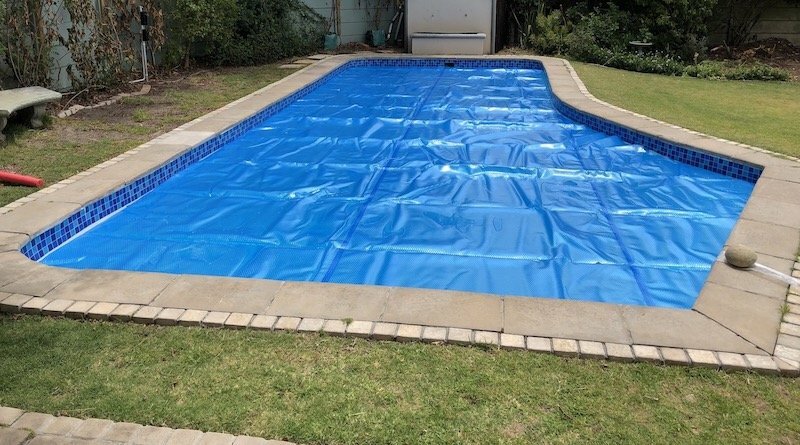 We just completed an installation of a 5×10 meter 500 micron bubble wrap pool cover. 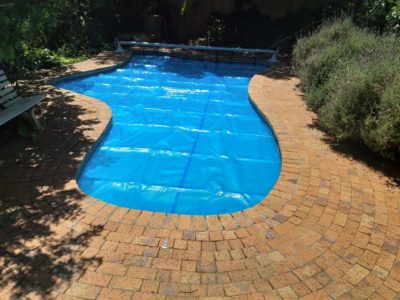 Before trimming and after photo’s. 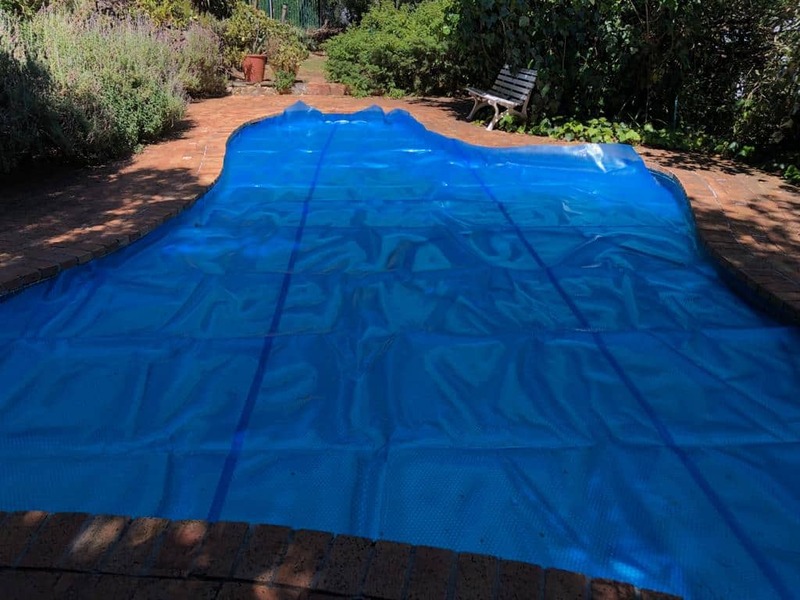 We also offer custom sizes & roll up stations. 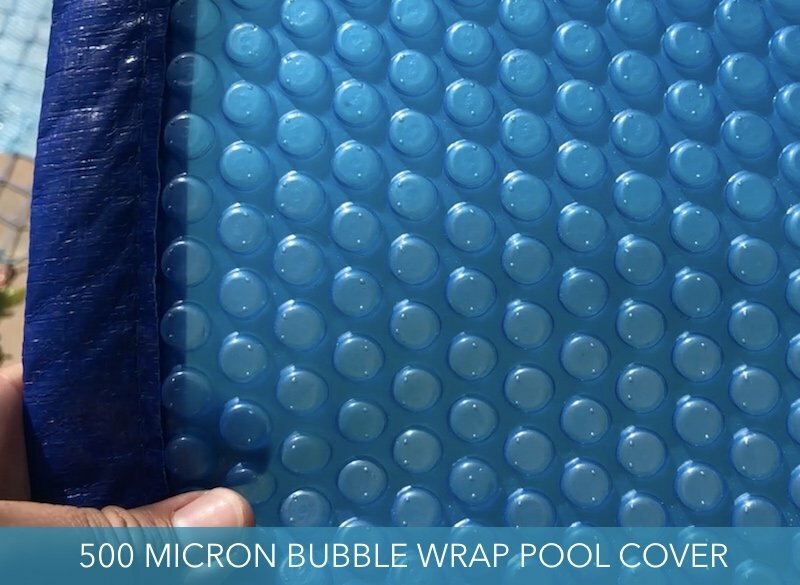 Get your 500 micron cover orders in while stocks last via our website. 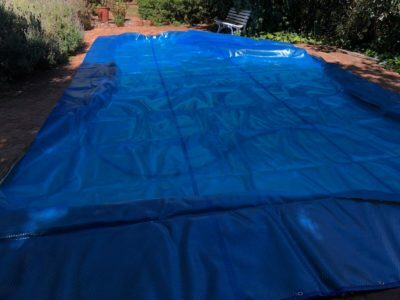 Stocks are running low.